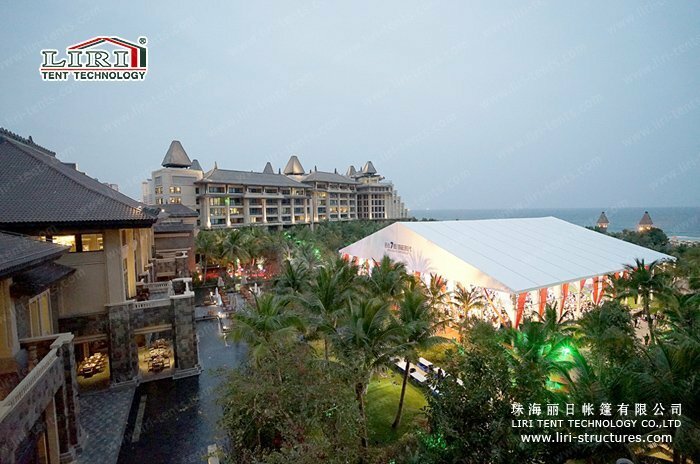 The Clearwater Bay 7th anniversary of AGILE was held in Sanya, Hainan Province. 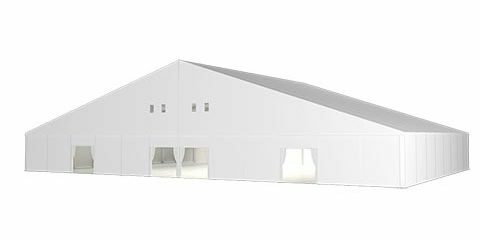 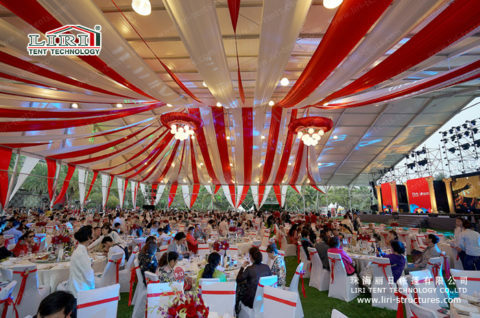 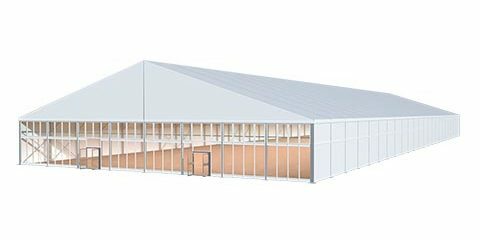 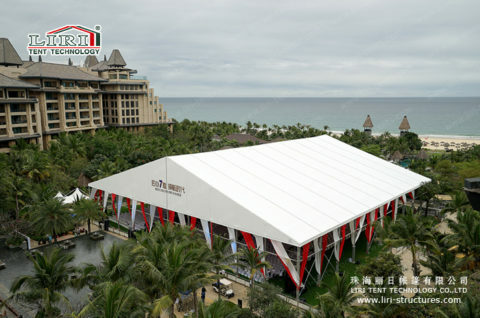 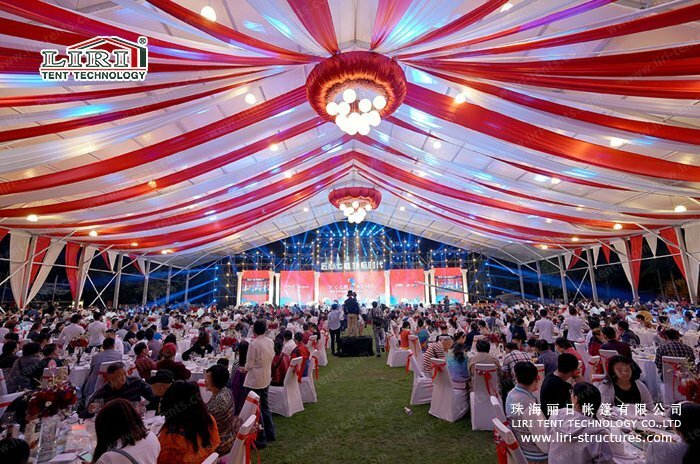 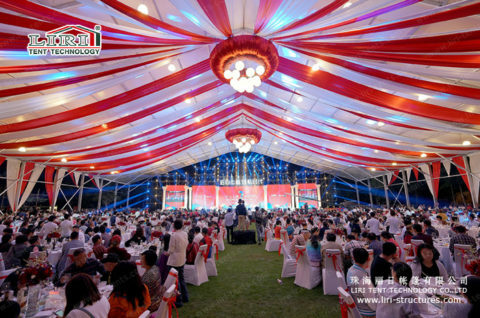 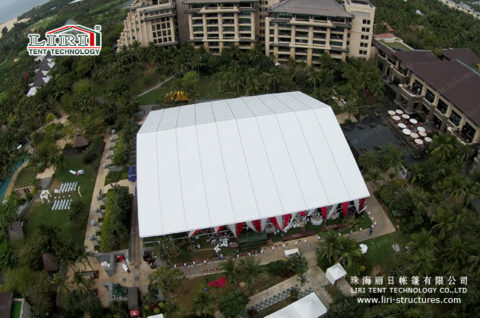 LIRI has provided over 2,500 square meter party marquee tent for this ceremony. 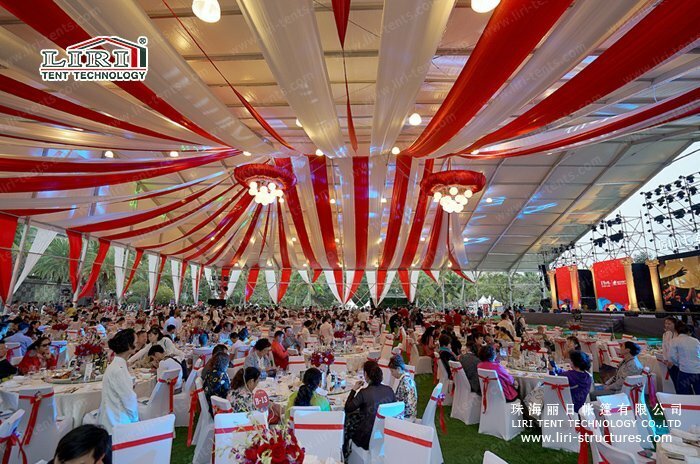 The beauty of the scene, the feast, and the party marquee collide with each other. 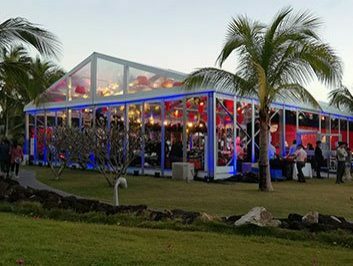 The island is immersed in a fabulous anniversary celebration. 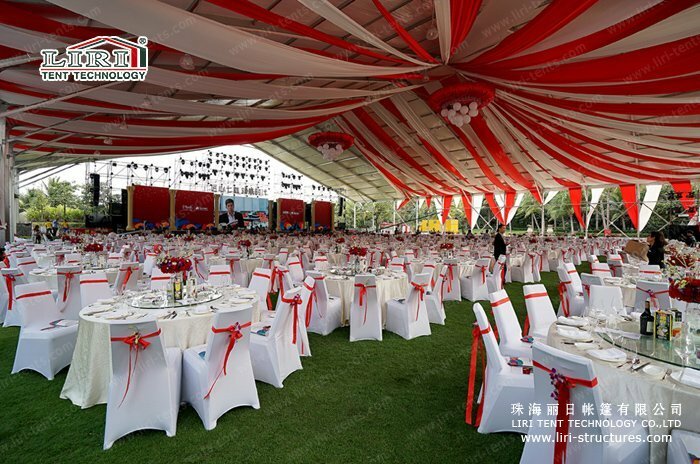 50 meters width and 8 meters super side height huge party marquee tent was used, it offered a huge and flexible event space, the party marquee tent interior was decorated by red and white linings, two big chandeliers that were hanged on the top lit up the whole party area, the little lights were shining around, which makes the tent as if in a starry sky. 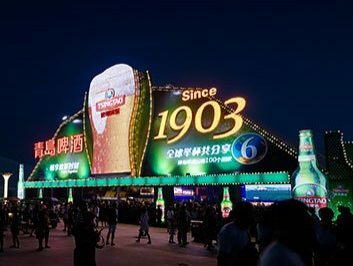 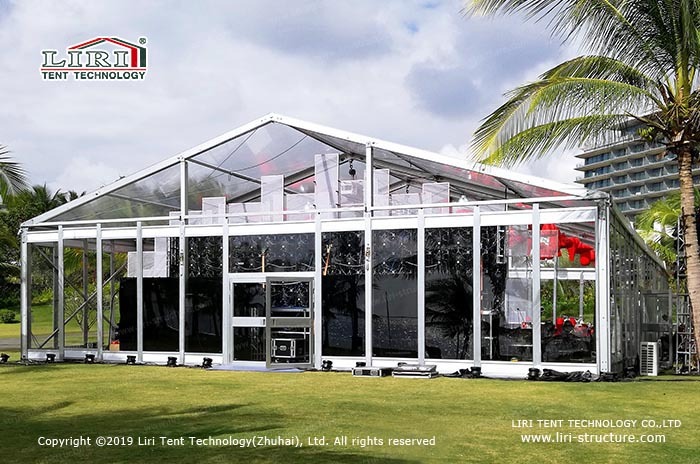 Over 2,000 guests have attended the party, special event atmosphere and amazing party effect can be brought to you by LIRI TENT. There is only something you can’t image, instead of we can’t do it. 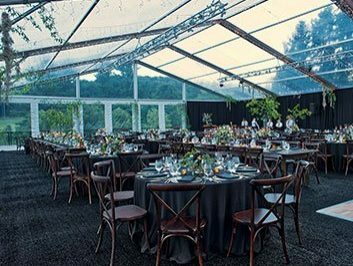 If you want a gorgeous party full of surprises. 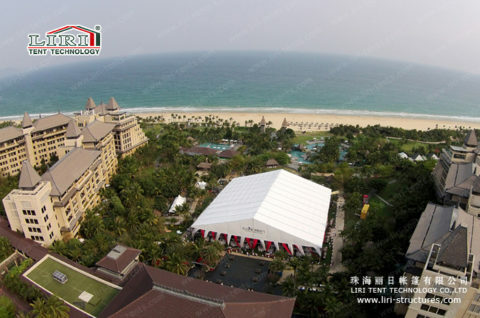 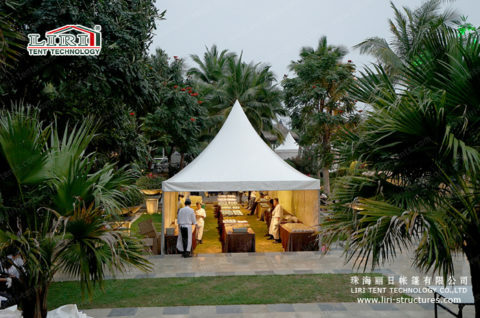 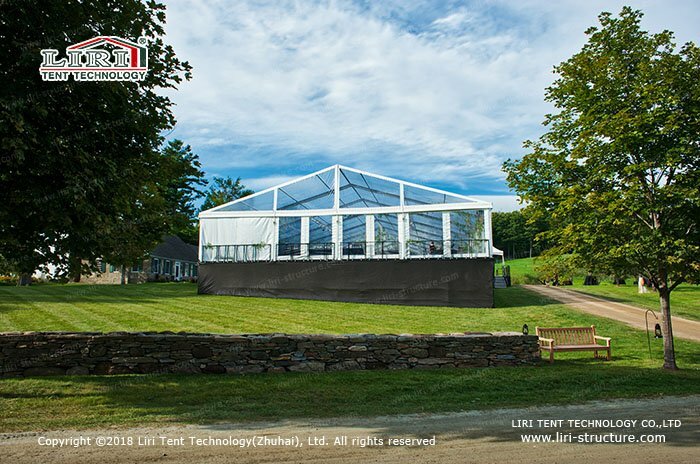 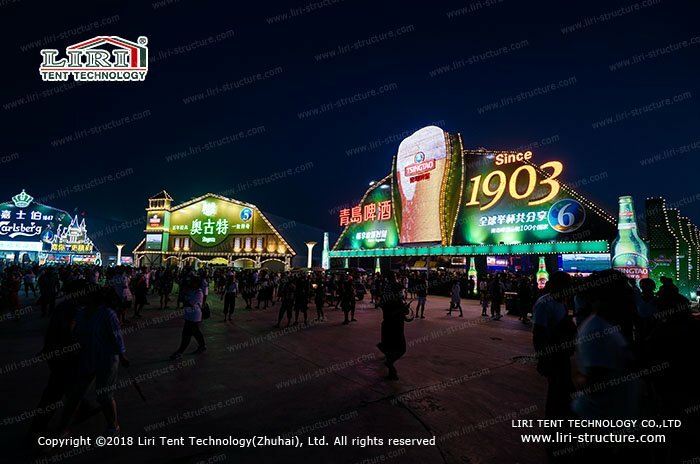 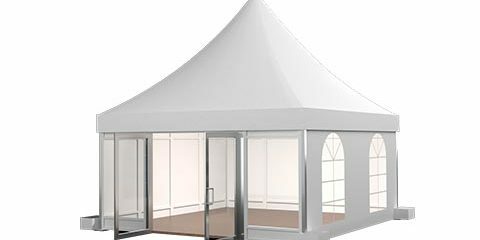 LIRI can always customize a special party marquee tent for you.